Where is Phu Quoc Island on the map? 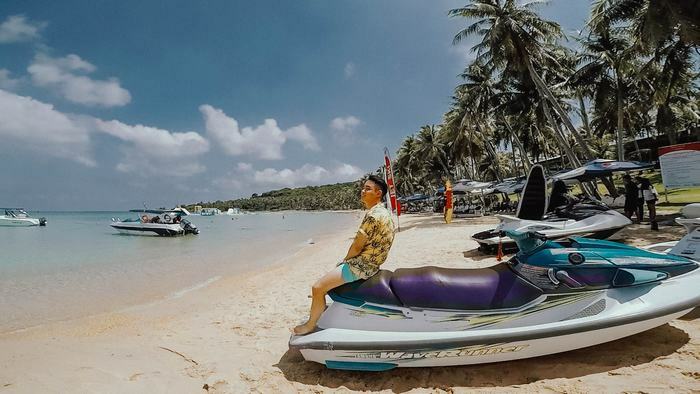 If you still don’t have any idea of Phu Quoc island where is it, this guide would be very useful for you which also takes you to the destination in the most convenient ways. 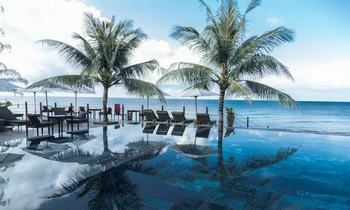 Where is Phu Quoc island? Where is Phu Quoc island on the map? Phu Quoc of the Southwest is an island separated from the mainland and also the largest island in Vietnam with an area of up to 574 square kilometers. The island also belongs to the Gulf of Thailand. 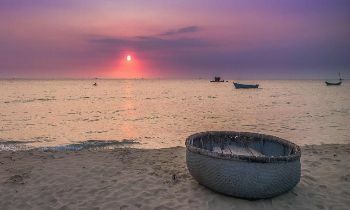 Phu Quoc Island is located quite close to Cambodia which is just 14 nautical miles from the coast of Kampot province. From Vietnam, the island is 65 nautical miles (about 120 kilometers) from Rach Gia town and 25 nautical miles (about 45 kilometers) from Ha Tien town. Phu Quoc island where is it? 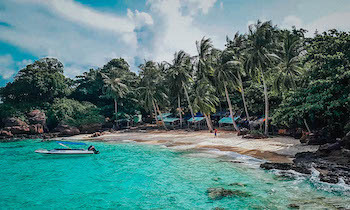 Phu Quoc is known as an emerald island with a population of 22 small islands around, forming Phu Quoc island district of Kien Giang province. There are two large towns of An Thoi and Duong Dong and eight communes in the island. 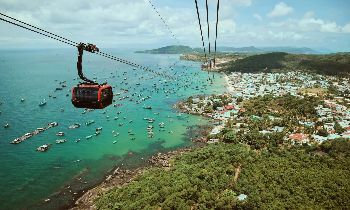 According to the statistics of Kien Giang province in 2015, the population living on the island reached 102,000 people. Where is Phu Quoc island on the map? 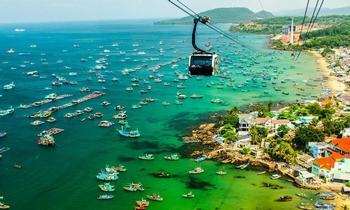 From Hanoi, travelers can go to Phu Quoc by plane. This is the most convenient, safest, and fastest way that flies straight from Hanoi to Phu Quoc island. Vietnam Airlines operates an Airbus flight each day from Noi Bai Airport (Hanoi) to Phu Quoc Airport which departs at 8:40 a.m and arrives at 10:45 a.m. 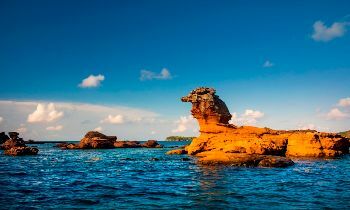 The reverse flight departs from Phu Quoc at 11:35 a.m and arrives at 1:40 p.m.
From Saigon, tourists can visit the island by a plane which departs from Tan Son Nhat Airport. There is a second way that they can move to Rach Gia ferry port (Rach Gia city, Kien Giang province) or Thanh Thoi ferry port (Ha Tien city, Rach Gia province) first by passenger car, then continue to reach Phu Quoc by ferry or high-speed boat. 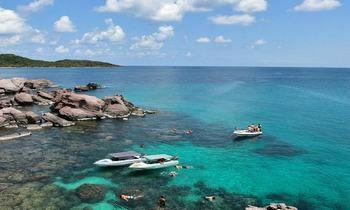 Hon Thom island is located in the North of Phu Quoc island. In here, travelers can dive to admire the coral and discover the fishermen life. 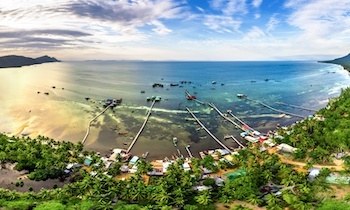 There is a pearl farm which is near Hon Thom so they can also visit a famous squid fishing village in Phu Quoc. 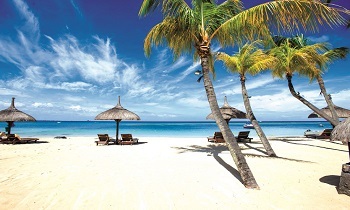 Coming to Bai Dai, visitors will immerse themselves in the clear blue sea water and smooth white sand which used to be voted by the famous BBC to be one of the most ideal beaches in the world. Bai Dai beach of Phu Quoc has a coastline of 1.500 meters long and along the beach with the sand are the high straight green row of poplar. The most beautiful beaches in Phu Quoc owns a fine white sand which is more than 7 kilometers long and curved like the moon. In the high season, Bai Sao is very crowded so if you like bathing in Bai Sao beach, you should come here early to rent a hammock to be able to relax. The life of Ham Ninh fishing village is still intact with the rustic bamboo house. The main occupation of people here is diving to catch pearls, sea cucumbers, and crabs. Also, travelers can visit Ham Ninh in the morning to enjoy the sunrise, then savor the seafood, or come here at night to admire the poetic moon. An Thoi archipelago has 15 islands along the southwest of the area. Beaches here are very clear and deep. Visitors can find it suitable for activities like exploring nature, sightseeing, fishing, squid fishing, swimming, and diving, etc. 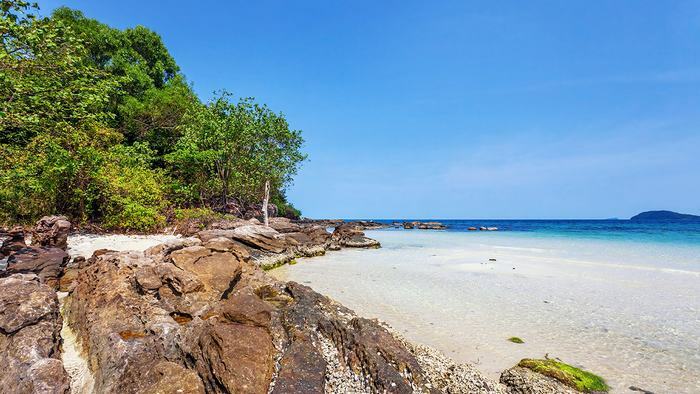 Some of the beautiful islands in An Thoi archipelago are Hon Dan, Hon Dua, Hon Roi, Hon Thom, Vang, Mong Tay, Gam Ghi, May Rut, and Chan Qui, etc. Dinh Cau night market is a busy market of Duong Dong town center on Vo Thi Sau street which is near the beach. The market is held from 5:00 p.m to 10:00 p.m. The market has over 100 booths selling souvenirs, handicrafts, cosmetics, and Phu Quoc jewelry and pearls. The most famous is the food court serving dishes made from fresh seafood such as seafood porridge, rice, and noodles with grilled chopped fish, etc. Tranh stream is made up of many small streams flowing through the canyon and forest from June to September every year. The stream brings a beautiful natural landscape with the flowers, mountains, sea, and water. It is an ideal and interesting place for camping and picnic. 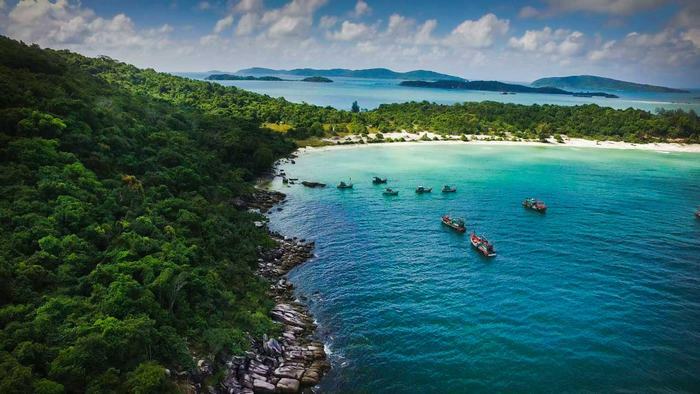 Phu Quoc island of Kien Giang is an appealing tourist destination, attracting a large number of travelers to explore and enjoy because this place brings the new feeling to visit on the charming islands, stimulating the curiosity of discovery of people. If you like the place, don’t hesitate to like and share with others. Thank you and hope you will have a wonderful experience with the Phu Quoc tour. NAVIGATE Where is Phu Quoc Island on the map?